The weather was quite Fall-ish this weekend, but next week it should be back up in the 90s here. A little too warm to turn on the oven and bake a pumpkin pie, but just right for a fun popsicle making adventure with your kiddos. So why not make a fun Fall themed treat like these pumpkin pie-sicles from Family Fun. The four ingredient recipe couldn't be any easier, and with butternut squash as the mail ingredient, it is a sneaky way to get in a new fruit. 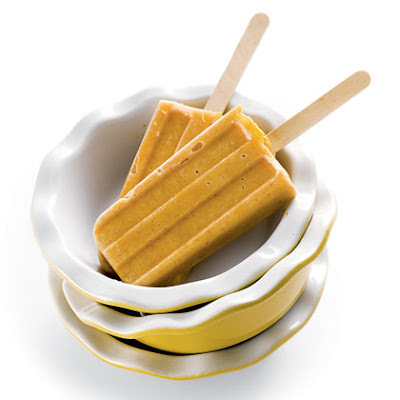 You can get the pumpkin pie popsicle recipe over at Family Fun.